a connection between surrealism and magic realism, Picasso as a cartoonist, and a note on the convention that cartoon characters don’t age. … On January 2, 2018, [cartoonist Guy] Gilchrist announced that after 22 years, his last Nancy strip would be February 18, 2018, which involved the marriage between the characters of Fritzi Ritz and Phil Fumble. 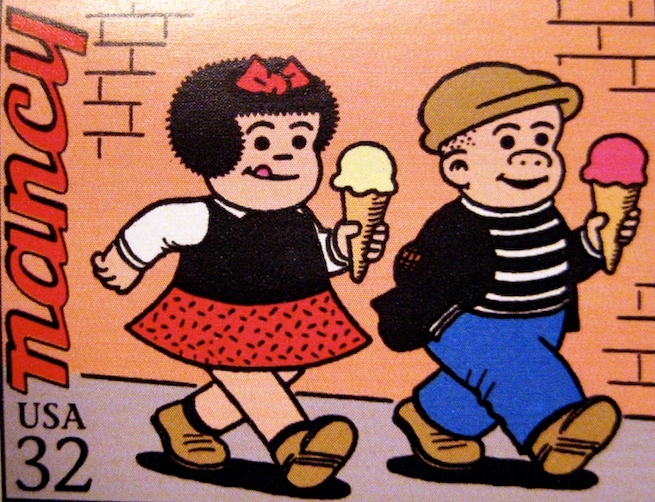 Nancy was 8 in 1933 when she first appeared in Bushmiller’s comics, hence she was born in 1925. It follows that in the real world, in 1995 (on the stamp) she would have been 70, and this year she’d be turning 94. As you can see in Albright’s painting of her in Bill Griffith’s comic strip. Indeed, Antony will return to her, again and again, until they both die by suicide, Antony by sword, Cleopatra by asp. 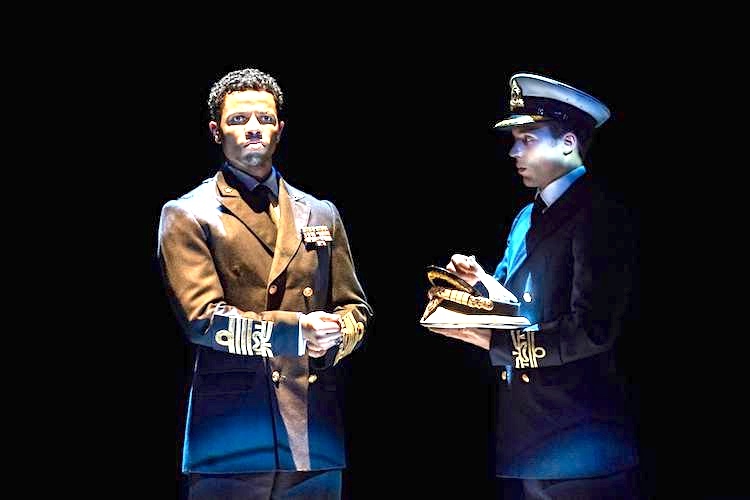 National Theatre live. 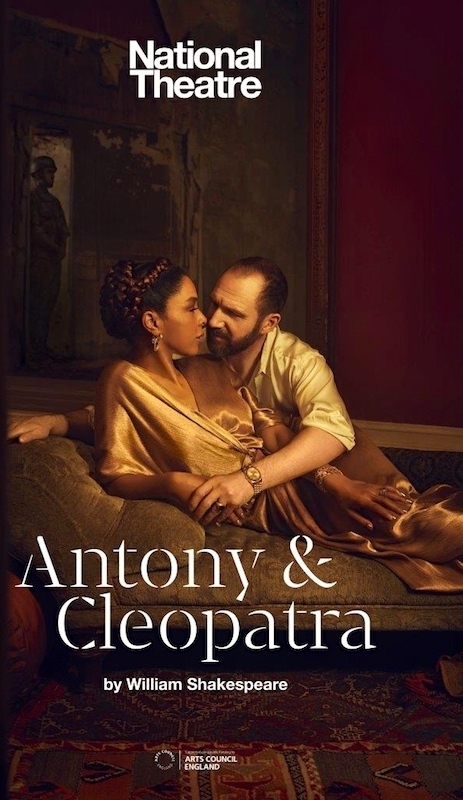 As it happens, I recently watched a stunning performance of Antony and Cleopatra (a National Theatre replay of its 2018 live broadcast, shown at the Aquarius Theatre in Palo Alto). It’s what I did on Superb Owl Sunday, February 3rd. Just afterwards, I filed a brief report on the performance, mostly in Shallow Mode, on Facebook, which I now paraphrase. 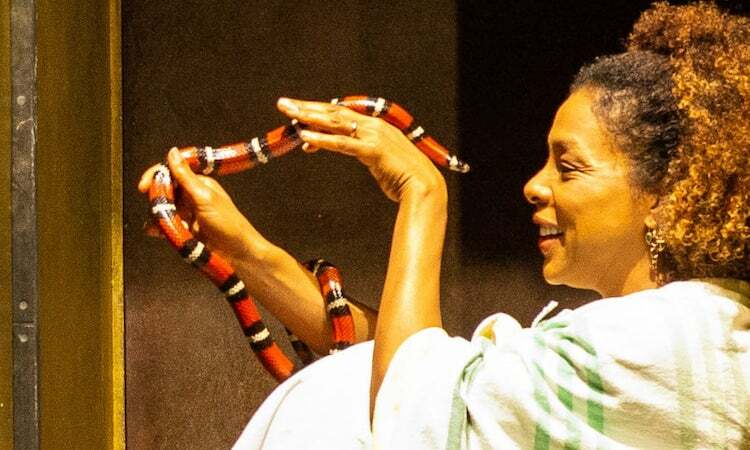 The performance is fabulous in many ways, and then the crucial asp turned out to be an absolutely gorgeous live snake (which I initially identified as a corn snake, but turns out to have been a similar-looking milk snake; details below). While I was typing this sentence, the Outback chain offered an “unlimited steak and lobster special” on tv, which I of course heard as “snake and lobster”. While I’m on shallow stuff, Cleopatra’s costumes are totally amazing. And Caesar is played by a really cute young black man, Tunji Kasim. … The reptiles are all milk snakes, a type of constrictor. Lampropeltis triangulum, commonly known as a milk snake or milksnake, is a species of kingsnake. 24 subspecies are currently recognized. … The subspecies have strikingly different appearances, and many of them have their own common names. Some authorities suggest that this species could be split into several separate species. They are not venomous or otherwise dangerous to humans. So, it starts with ageless cartoon characters. And ends with snakes. 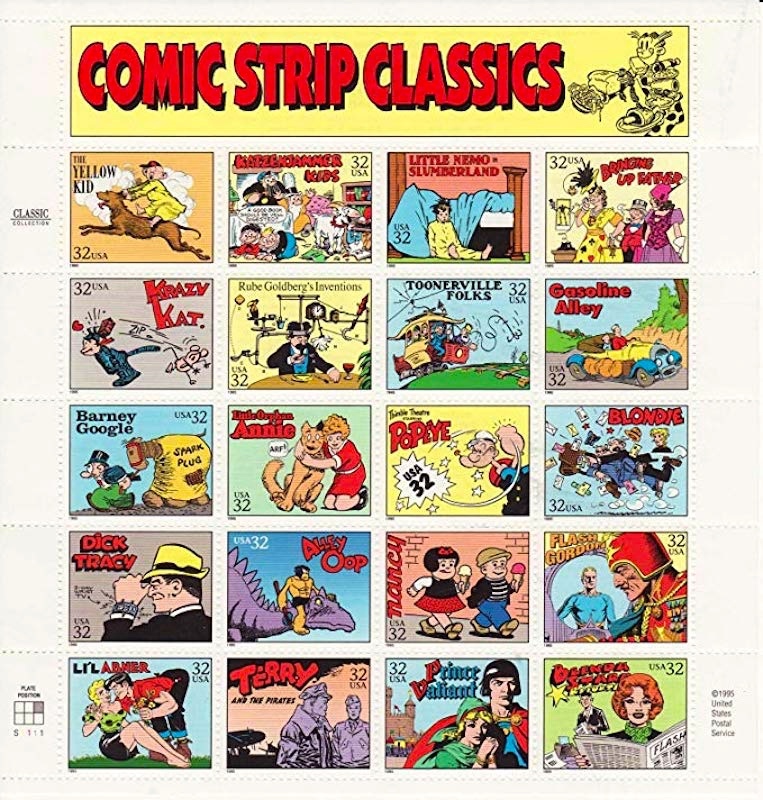 This entry was posted on February 11, 2019 at 1:02 pm and is filed under Actors, Art, Comic conventions, Language and animals, Language play, Linguistics in the comics, Mishearings. You can follow any responses to this entry through the RSS 2.0 feed. You can leave a response, or trackback from your own site. There are a few comic strips that I read in which the characters do age, and some others in which there’s evidence of time passing, although it doesn’t seem to result in aging. In both Doonesbury and For Better or for Worse, time seems to pass more or less in real time. Or it did, before the authors of both strips stopped writing new copy and started rerunning old strips. In Arlo and Janis, one could observe the title characters’ son and his contemporaries growing up — I believe Jimmy Johnson has said that time passes at about two-thirds speed — but Gene hasn’t been seen for a while. Jump Start‘s kids are getting older (they’ve added a few since I started reading it), although I’m not sure of the scale (and the twins seem to still be infants several years after their initial appearance). Then there are other strips whose characters age may not wither, but custom definitely stales their far-from-infinite variety.